We have already explored the Eyedropper tool in PowerPoint that lets you sample colors from any object within your PowerPoint slide and use that same color as a fill or outline for a shape. But what do you do if the color you want to use exists on a web page, your desktop wallpaper, or anywhere else? 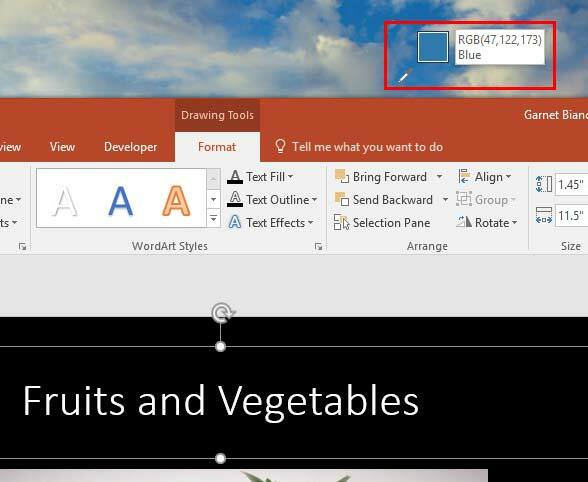 The technique to capture a color from outside PowerPoint is little different. In this article, we will explore how you can copy a color from somewhere outside PowerPoint and use it as the fill and outline color of a text.